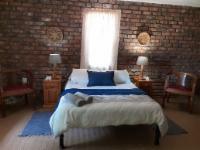 We have a variety of accommodation to choose from; there is our Guest House which is the original residence on the Marrick farmstead and it has been meticulously restored to reflect the elegant ambience of its earlier years. 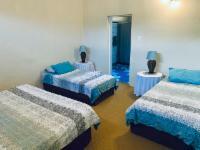 The house has five bedrooms sleeping 10 people in single or double beds. 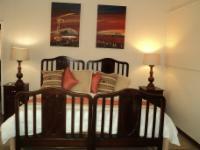 We have a honeymoon suite situated within the guest house; the room has a king-size bed and an en-suite bathroom and is ideally suited to that romantic weekend away. 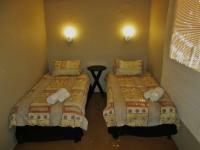 There is the Impala Cottage for those who prefer a more functional yet comfortable lodging. 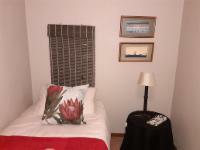 The cottage is the ideal accommodation for you and your family or friends to experience Marrick's bounty from the convenient confines of your own private lapa. 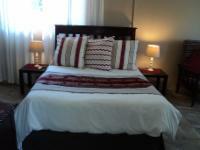 There are five bedrooms, three bathrooms and a fully equipped open-plan kitchen. 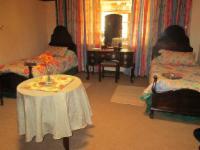 The Hunters’ Cottage can accommodate up to six guests in two air-conditioned bedrooms with en-suite bathrooms. 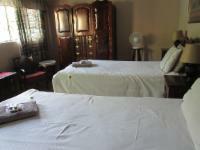 Enclosed by a reed boma, Hunters’ Cottage provides the seclusion you need for your own private party or family function. 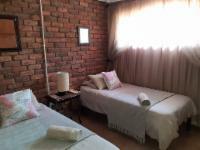 There is the Guinea Fowl Cottage which is similar to Impala Cottage in terms of style and functionality, but without the lapa. 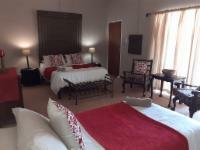 Guinea Fowl Cottage offers three bedrooms, three bathrooms and an open-plan kitchen. Lastly there is our Ribbok Campsite situated deep in the heart of Marrick's 3000 hectare expanse, sheltered beneath the shade of a rocky koppie lies the most rustic and basic of Marrick's accommodation options. Providing exquisite panoramic views over the Flamingo Pan and much of the reserve itself, Ribbok Campsite consists of six two-man tents and is equipped with an outdoor kitchen, a braai area and very rudimentary shower facilities. 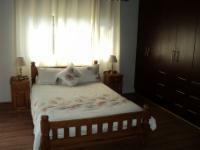 Impala Cottage Room 2 Family Sleeps 3 Includes: Self-catering 1 Double Bed1 Single BedEn-Suite BathroomKitchen open plan lounge, lapa braai. 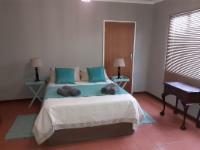 Impala Cottage Room 3 Single Sleeps 1 Includes: Self-catering 1 Single BedShared BathroomKitchen open plan lounge, lapa braai. 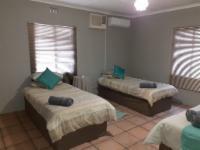 Impala Cottage Room 4 Twin Sleeps 2 Includes: Self-catering 2 Single BedShared BathroomKitchen open plan lounge, lapa braai. 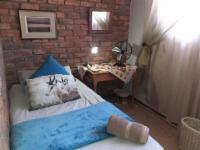 Impala Cottage Room 5 Single Sleeps 1 Includes: Self-catering 1 Single BedShared BathroomKitchen open plan lounge, lapa braai. Owlbox campsite Sleeps 2 Includes: Self-catering En suite camp with electricity,flush toilets and hot water shower.Fully equipped . 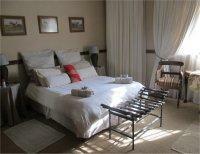 I had to go and find other accommodation at 18h30 the evening after a 6 hour long drive! We have paid 50% upfront (R 1500.00) for nothing.I was even asked the ETA via email (not everybody gets their emails on the phone by the way). I did say after 6 and yet nobody opened! We saw an extraordinary amount of wild life in the self game drive. Highly recommended.The accommodation facilities were excellent.Close to Kimberley also a plus as it allowed to do other things as well. Great place to take a break and enjoy a braai under the stars. Also a lot of game to view on long walks. Probably best place to see otherwise highly elusive nocturnal species as Aardvark, aardwolf and black-footed cat.Nightdrives at Marrick reveal how diverse the wildlife can be in the Karoo.Friendly owners and staff.Great birding at Marrick and surrounding area. 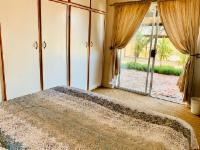 Marrick Safari is 17km from the centre of Kimberley , the nearest airport 17.3km (Kimberley Airport).